I love to garden and I love to eat figs. What better way to enjoy both my hobby and my food passion than by growing my own fig tree?! I’ve been wanting to do this for a while. In fact, part of my back yard redesign last year (I will post about this at somepoint) was to include some fruit bearing trees and/or bushes — in a very small and limited space — so unfortunately it just didn’t happen last year. 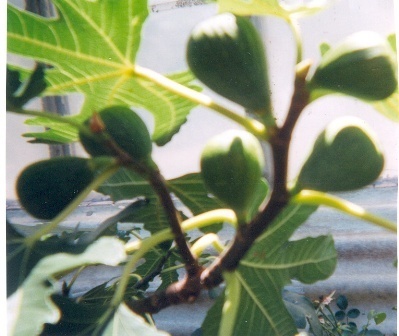 Fig trees however, can be grown in a pot — so there’s really no excuse not to get one. I did a bunch of online searches last year and did the same this year. I came to the conclusion that I was going to have to either order a plant online and have it delivered or buy a fig tree in NJ… from the same place my dad got a very nice specimen last year. Then, while doing some more online research, I came across a place that’s in Roslindale (only ONE town away) that acually specializes in Italian fig tress! Joe Morle and Carlo Calisi (both native Italians) have over 60 years experience in Italian fig trees. They provide both mail orders and in-store pickup at their nursery — City Farm Florist and Greenhouses on the American Legion Highway in Roslindale. 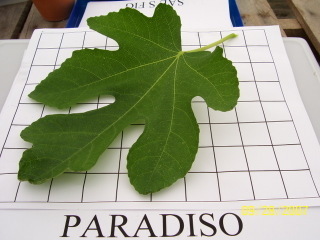 After talking to Joe for a bit and looking at the available trees — which range in size from small — about 1 foot tall ($20) to large — about 5 feet tall ($75), I opted for a large Paradiso Fig tree. 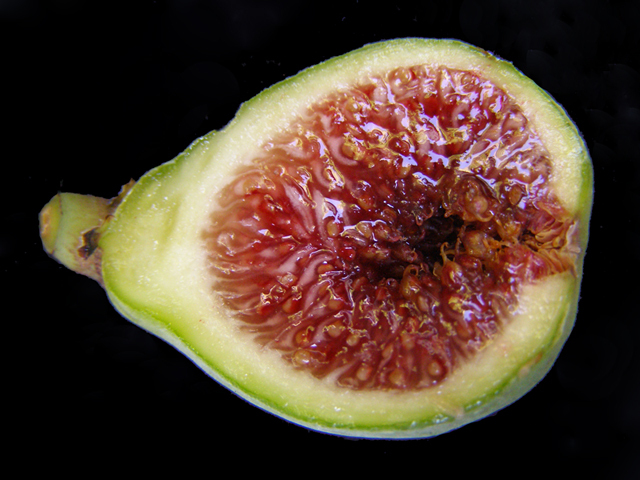 The two primary species of figs they deal in is the Paradiso Fig and the Genova Fig, both of which appear to be a fairly proprietary to their business (as not may folks specialize in these), but they have a few other varities as well. Figs are pretty cool. You can actually propagate more trees by using cuttings with or without rooting hormones and special planting medium, such as vermiculite or perlite. As my tree gets larger, I will definitely be attempting this. So, if you have a penchant for gardening or just love the taste of fresh figs, I definitely recommend giving City Farm a try. They are helpful and knowledgeable and will also answer any questions you have as your fig continues to grow. My tree will bear fruit this year, probably sometime in August, but some of the smaller plants take a year or two to mature. Make sure you know ahead of time what you are getting yourself into. Also, figs are technically a tropical fruit. While the varieties at City Farm are cold tolerant to zones 5 and 6, it still best to either bring them in over the winter — leaving them dormant in a cold garage or basement — or to carefully and thoroughly isulate them and make sure they are in a very sunny spot if you plan on leaving them outside all winter. On Joe and Carlo’s website you can read all about what’s involved in raising one of these beauties.